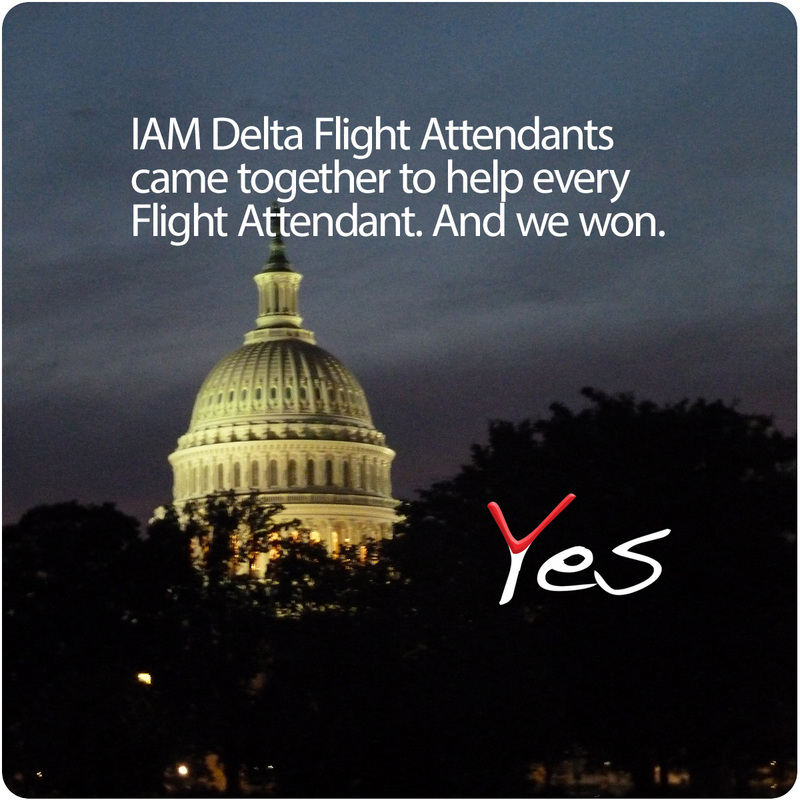 As IAM members from around the country mobilized—including Delta Flight Attendants—the International Association of Machinists and Aerospace Workers (IAM) scored a major political victory yesterday by including in the Aviation Innovation Reform Reauthorization Act of 2016 (AIIR) an amendment that would mandate a minimum of 10 hours rest for Flight Attendants. The IAM—the largest airline union in North America—and AFL-CIO transportation affiliates, worked tirelessly to include the 10 minimum rest for Flight Attendants in the AIIR. If ultimately signed into law, this change would significantly reduce Flight Attendant fatigue, a major safety and quality of life issue. Pilots currently are covered by a minimum of 10 hours rest. “I would like to thank every Delta Flight Attendant who made their voice heard on Capitol Hill yesterday and demanded that Congress do the right thing and improve the lives of Flight Attendants,” said IAM Transportation Department General Vice President Sito Pantoja. “You are part of the IAM family and together we will achieve many future victories. Well done." “The job isn’t done yet,” continued Pantoja. “We must remain vigilant and keep the pressure on because there will be continued opposition and indifference to our efforts."